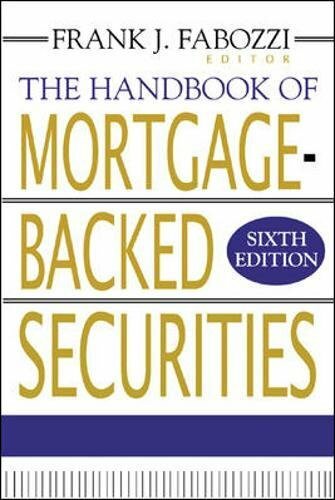 By providing hands-on information vital to market participants, previous editions of The Handbook of Mortgage-Backed Securities were instrumental in fueling the growth of the mortgage-backed securities market. The sixth edition contains all the elements that made previous editions so successful and influential, and provides you with more than 25 new chapters on topics including collateralized mortgage obligations, prepayment derivatives, loan level determinants of repayments, new approaches to MBS valuation, and a survey of non-U.S. mortgage rates. If you have any questions about this product by Frank Fabozzi, contact us by completing and submitting the form below. If you are looking for a specif part number, please include it with your message.